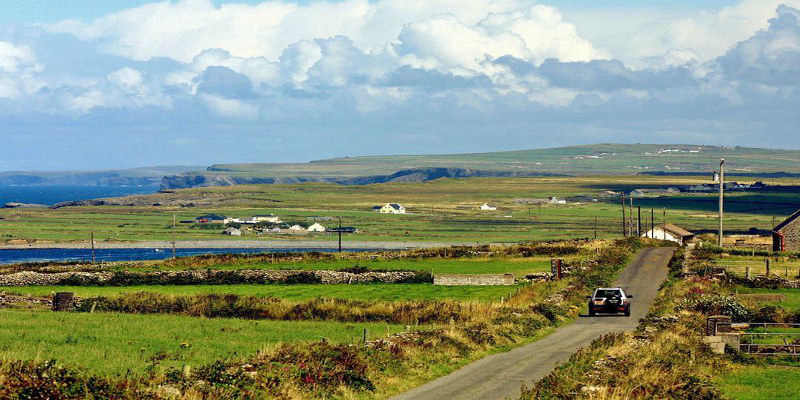 Ireland is famous across the world for its unbelievable natural scenery. Nowhere more so than the Ring of Kerry, a majestic stretch of land beginning in Killarney that contains a whole host of unbelievable geographic wonders. This most splendid route can lay claim to displaying the Macgillycuddy Reeks (home of Ireland’s largest mountain, Carrantuohill), Dingle Bay and the Lakes of Killarney. You won’t find a more mesmerizing trail than the Ring of Kerry anywhere in the world. Killarney is known as the gateway to the Ring of Kerry. It is a delightful town in its own right, too. Some scintillating parkland can be found in this area, with Killarney National Park and Muckross House just some of the must visit sites.This sweeping green parkland has developed over the years into a thing of beauty. Muckross House lies within the park, and is an old Irish mansion, with traditional farm houses acting as a monument to life on the land in old Ireland. Deer roam across the land, while the farm is home to pigs, geese and many other typical farm animals. While in the vicinity of Muckross House, it would be remiss of you not to make time for Torc Waterfall. This beautiful waterfall climbs to over seventy feet in height, leaving numerous outstanding vantage points to admire it. The higher you climb, the better the views of the Lakes of Killarney and Torc Waterfall below will be. The Lakes of Killarney are another wonderful natural landmark in the area. These picturesque lakes lie in situ with all manner of local heritage points, and the stunning vista views have to be seen to be believed. There are a number of special tours that will show you the best of the Lakes of Killarney, but the finest of them all may be the sunset kayak trip. With a paddle in the fading light, you experience the lakes in their most natural opulence. The 6th century monastic ruins on Innisfallen Island, coupled with the native red deer, make for a wonderful evening on the lakes. There are a couple of ways to travel between Killarney and Killorglin. The direct route is a relatively straightforward half hour drive down the N72. There is a rather delightful alternative though. Take the scenic route, where the passage brings you through Ladies View, a heavenly viewing point of the mountainous terrain and lakes that runs for miles along the horizon. If you can bring yourself to leave, then Molls Gap will be the next wondrous spectacle along your way. Molls Gap is so much more than just something to pass by. The old red sandstone rocks are a lovely feature, and the area offers even more beautiful vantage points of the mountains. Stop off and get some lunch, and marvel at the wondrous landscape around you. After lunch, the Gap of Dunloe should be your next stop. Yet another glorious mountain pass, the Gap of Dunloe is a rather vast area, full of lakes and hilly spots for a fine trek. There is no telling how much time you would have to dedicate to the Gap of Dunloe to see it all, so a bus and boat adventure tour is a great way to see the best parts. If you only have time to pass through on your day trip, then at least make sure you take some pictures here, because the natural vistas are awe inspiring. The Macgillycuddy Reeks are just a short spin down the road again. This mountain range is home of Ireland’s largest mountain, Carrantuohill. These glorious peaks are a prime location for a hike, and the goats who reside there will be more than happy to show you the way. If you prefer the human touch, there are certainly guided tours available. The view from the top is out of this world and, when you cast your glance out at the resplendent scenery below, you will know that it was well worth the effort of making it to the top. No trip to the Kingdom would be complete without a stop at Killorglin, the home of Puck Fair. Every year, people climb through the mountains to catch a wild goat, who will be crowned as the King Puck in a ceremony during the three day festival in August. This is one of Ireland’s oldest traditions, and the street vendors who adorn the town throughout add nicely to the congenial atmosphere throughout. The town of Killorglin really blooms in the August sunshine during Puck Fair. The arts and crafts on display are marvellous, with all manner of artists and performers joining in the celebrations. If you still have enough gas in your tank, then proceed full steam ahead for Dingle. The Dingle Peninsula is a traditional Gaeltacht area, where the Irish language is predominant. It has Irish culture and heritage infused into its lifeblood, with several islands in the region where people lived off of the mainland. Dingle is a lively town full of friendly locals who are more than happy to enjoy the craic. A big fishing town, there is a plentiful supply of high quality seafood around. Dingle is also home to Fungie the dolphin, who has been a permanent resident and town mascot for over thirty years. There are daily tours out to visit Fungie, who is known to be very photogenic. The peninsula is also home to a number of world class beaches, such as Inch Strand. This glorious golden strand is home to magnificent sand dunes, and the wind and waves make it ideal for kite flying, surfing or any watersports. Dingle is certainly worth the trip way out west. You could never hope to uncover all of the Ring of Kerry’s wonder. There are people who have lived there all their lives and still discover new parts. If you have a month to dedicate to your exploration, then that would be ideal. If not, Discovering Cork offers a marvellous day tour that will let you enjoy the highlights. This magical day will be one that stays with you for the rest of your life.